On December 19, 2017, ThoYu replaced the overall upgrade program of our official website to our customers and partners. The website revision has been designed focusing on the display our products and service, and the connection with our customers. The original www.thoyu.com domain name and server space do not change. 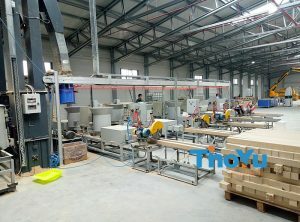 However, in order to optimize access experience, ThoYu has initiated a revision of the overall design and structure. Having concluded the former revision, ThoYu today proudly launches the new website. And we restructure the website and modernize its design to better user experience. 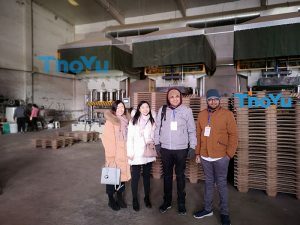 And all ThoYu’s products that are available on our website: wood pallet making machine, pallet block machine, fruit and vegetable grading machine, fruit pitting machine, and related supporting equipment. You now can simply look through all our products from the main page directly in a simple and well-structured manner. Then, knowing ThoYu roundly on our website. And you can choose and learn more about what your want. Besides, you also can see what we offer. Additionally, you also can find our customer feedback, which helps you to make the decision. 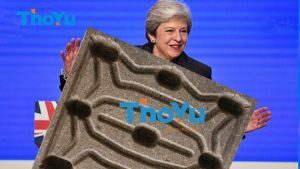 Finally, you can get the latest news about ThoYu and industry. Real-time update news, and with you together. In addition, the upgrade of the home module template adjusting, optimizing access experience, especially the adaptive adjustment of pages for mobile end users access. At the same time, you can directly access Tuoyu official website www.thoyu.com via mobile phone. And the system will automatically visit mobile phone website. With ThoYu will update and expand regularly as new products are available and new services become operational. And we will rectify our website and make it more perfect. Sincerely thank you for your constant concern and support to ThoYu. And we hope that this website revision will bring you better service and user experience. Please leave your message, if you have any question. And we will reply you as soon as possible.